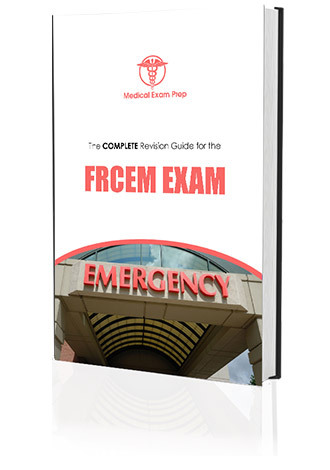 Why choose FRCEM Exam Prep? We are the longest established and most experienced provider of online revision courses for the Royal College of Emergency Medicine (RCEM) examinations. Our new FRCEM Primary examination revision course has been over a year in development and our new single best answer questions are closely aligned to the updated RCEM curriculum and new exam format. We believe that using this course is the best way to maximize your chances of success in the FRCEM Primary examination. Over 4700 total questions written using the RCEM basic sciences curriculum and previous exam topics. Over 3000 brand new single best answer questions (SBAQs) in the new FRCEM Primary examination format. Over 1700 old style MRCEM MCQs also based on the RCEM basic sciences curriculum for additional practice. Detailed revision notes with all questions, many questions also containing illustrations and exam orientated revision tips. A database of high quality questions that is constantly being updated and expanded. Subject specific question exams to enable practice in specific areas of weakness. Mock examinations with the same question distribution as the actual FRCEM Primary exam. All areas of the curriculum covered: Anatomy, Microbiology, Pharmacology, Physiology, Pathology and Evidence-Based Medicine. New subcategory exam feature to allow concentrated revision on specific areas of the curriculum. Continuous score analysis and detailed statistical feedback to enable tracking of your revision progress and comparison against other users. Compatibility with mobile devices and browsers including iPhone, iPad and Android devices. Support throughout your revision from the FRCEM Exam Prep team. All subscriptions also come with a free eBook copy of our complete revision guide for the FRCEM exam. products depicted on this webpage. Still not sure? Why not try our sample questions?